The Rolex Daytona is among the hottest watches on the planet. We go deep to find out why. I’ll admit, it took me a while to warm up to the Daytona. The watch most responsible for pulling me into the world of vintage Rolex, and to Rolex in general, was the far more humble Submariner reference 5513. It’s simplicity was intoxicating, and the Daytona looked a fuss in comparison. In reality, the Daytona presented a far more complex history that took patience and more than a bit of reading to properly appreciate. Understanding the Daytona is a journey. 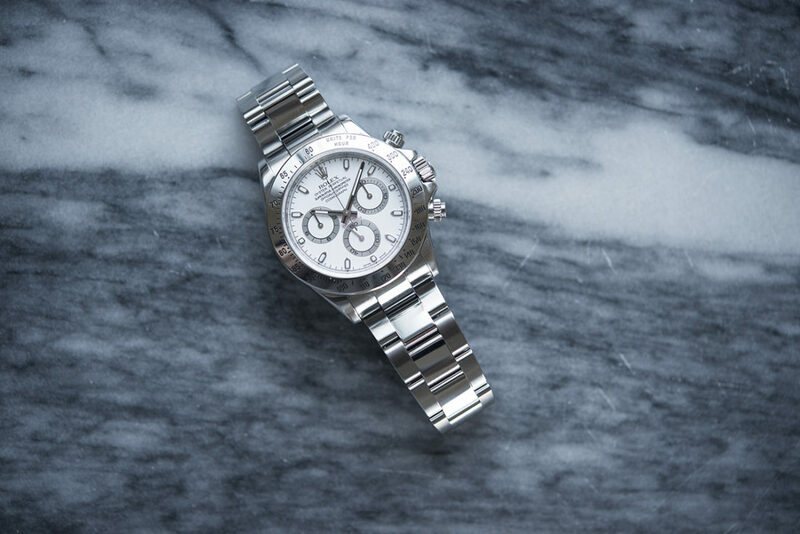 The Rolex Daytona is more popular today than ever before. Even before Paul Newman’s own Paul Newman Daytona smashed records at auction last year, the Daytona had been on a hot streak, with vintage and modern references alike experiencing unprecedented demand. 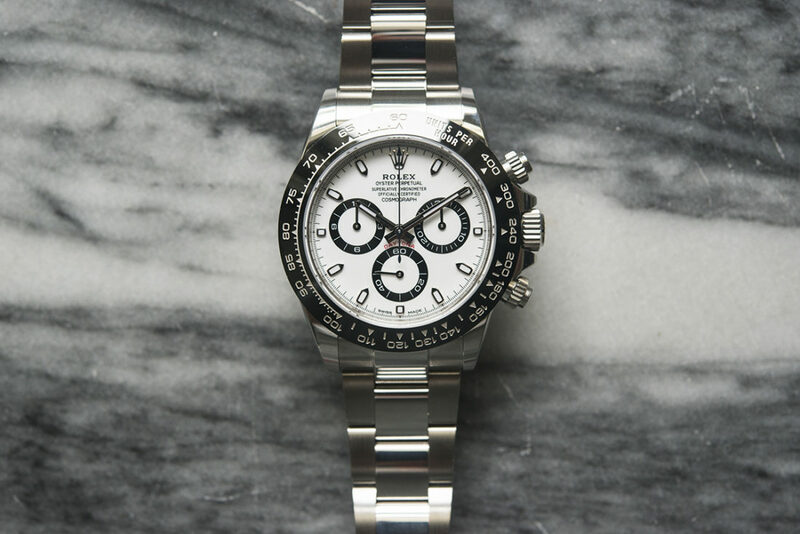 If you walk into your local Rolex authorized dealer right now looking for a new Daytona, you’ll be placed on a years long wait list (at best). How have we come to this? 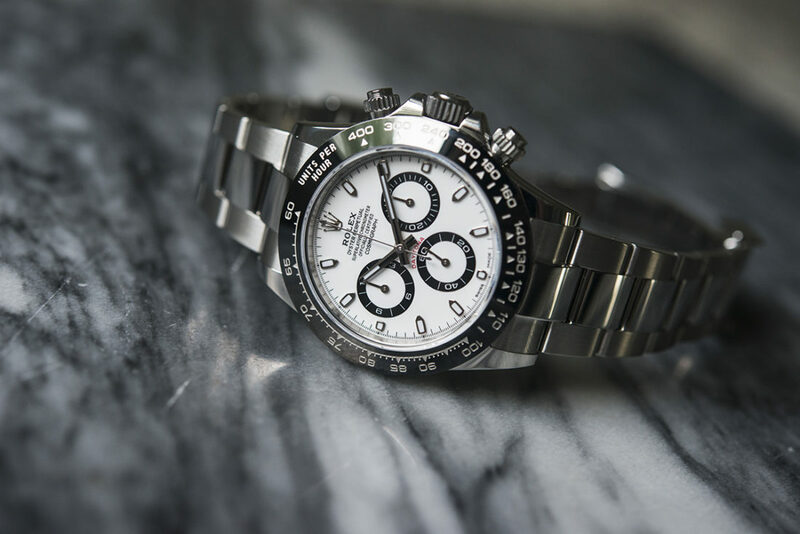 We’ve already covered a part of the why in this article, and here, we’ll take a closer look at the what: the Rolex Daytona reference 116500. The newest Daytona, reference 116500 was released in 2016, and in the pre-owned market prices have never come close to its MSRP of $12,400. There are 2 variants of the reference, one with a black dial, the other with a white dial. The latter consistently trades around 10% north of the former. It’s safe to say this was the hottest watch in the world when it was released, and things haven’t really cooled off since. We spent some time with the watch to see if it still lives up to the hype it enjoyed when it first dropped. Of course, hype like this isn’t built overnight, so we’ll add some historical context along the way. Getting to the Daytona was a gradual process for Rolex. Just how gradual depends on how far you care to look back. (This is a good point to note that there are many a book written on this topic, alongside a wealth of knowledge in the online realm.) The first seeds of the Daytona were planted by a relationship with Sir Malcolm Campbell, a racing driver who broke the world land speed record 9 times in a stretch between 1924 and 1936. 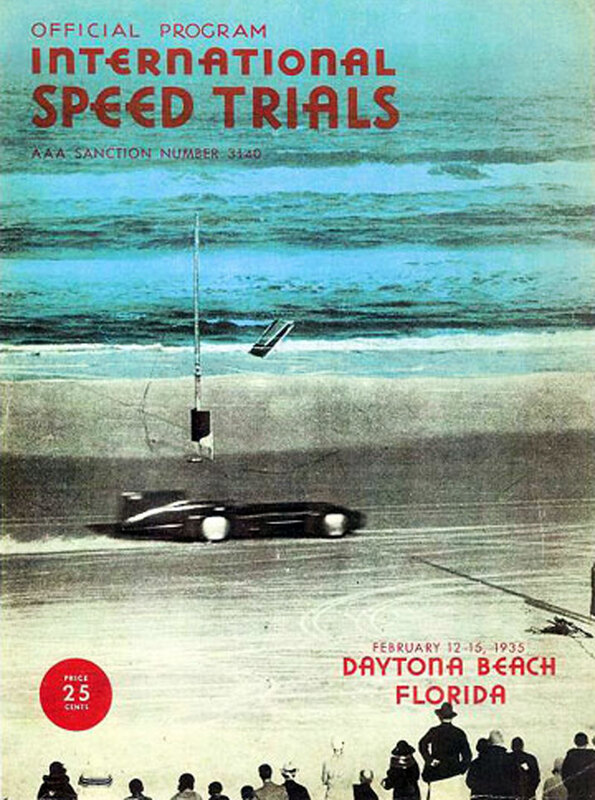 Four of those records were set at Daytona Beach, a track that was built using the beach itself at the time. Campbell wore an Oyster Rolex during his runs, and appeared in Rolex ads of the day (for which he refused payment, as he bought and enjoyed the watch of his own accord). Even though a chronograph called the Daytona was still more than 25 years off, Rolex the brand and Daytona the track were inexorably linked from then on. The first chronograph Rolex ever built in an oyster case was the reference 3525, which dates to the late ‘30s. For the sake of brevity, let’s jump to the pre-Daytona reference 6234. 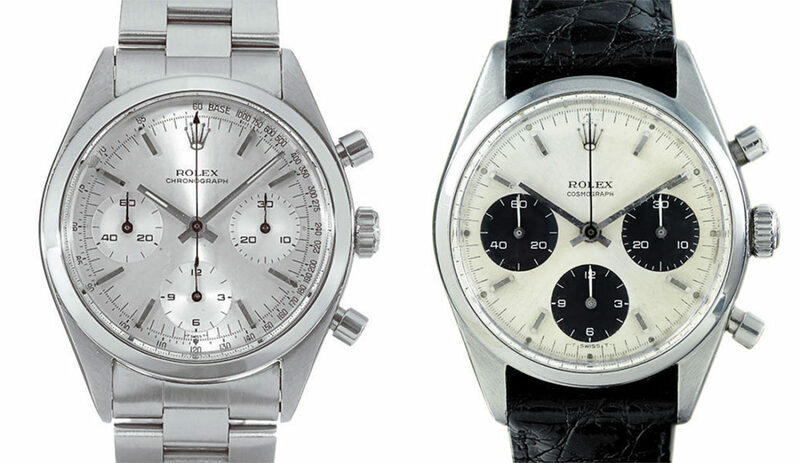 Rolex released the reference 6234 chronograph in 1955 (2 years before Omega would release their Speedmaster), but the words Daytona or even Cosmograph were nowhere in sight. Instead, the dial simply read “Oyster Chronograph” or just “Chronograph”, flanked by sub dials at 3, 6 and 9 o’clock and a tachymeter at the dial’s edge. This was a transitional (foundational, even) period for Rolex; the first Submariner ref 6200 (or 6204) was introduced 2 years earlier; Sir Edmund Hillary and Tenzing Norgay had scaled Mt. Everest with what would become the Explorer also 2 years prior; the GMT-Master was launched a year earlier. 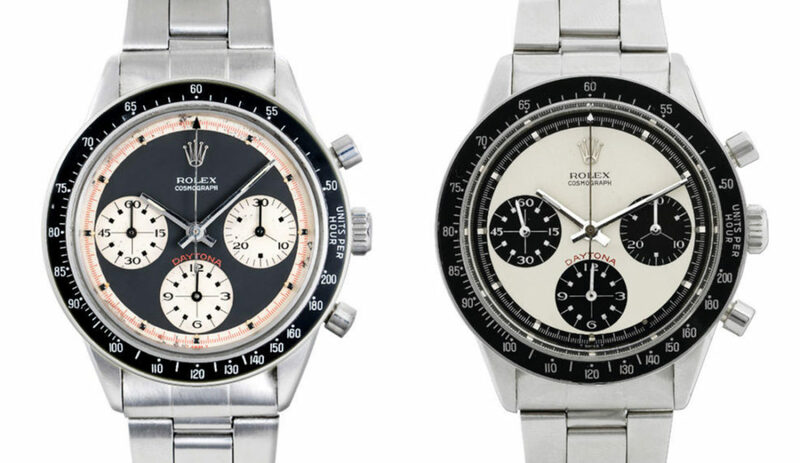 Rolex was clearly finding their footing in sport watches throughout the 50s, and the watch that would become the Daytona had one of the longer gestation periods of the bunch. The general aesthetic put forth in this period is still largely represented today. The reference 6234 chronograph was a slow seller, and it wasn’t until the following reference 6238 that we’d get watch recognizable as near-Daytona in nature. The ref 6238 was released in 1960, and while it kept the tachymeter on the dial, it was pushed further to the edge, giving the sub dials full reign of the dial real estate, allowing for a much tighter design overall. 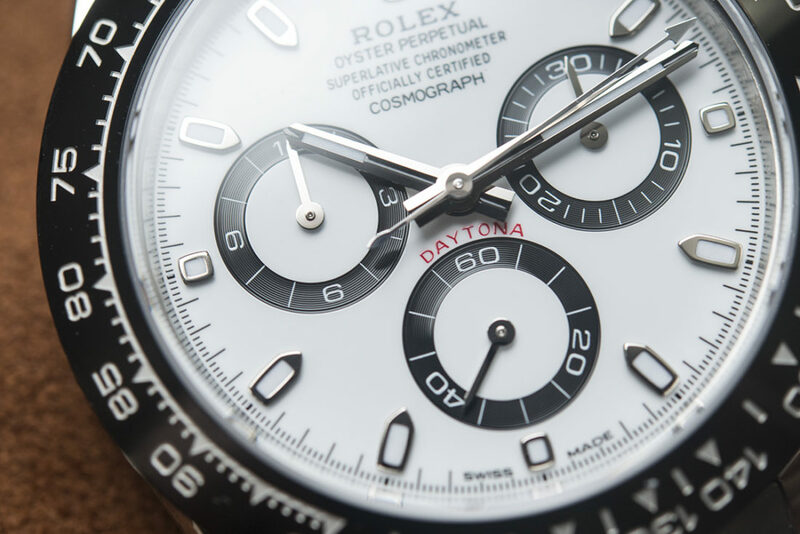 One curious addition was made to the dial that is still present on the Daytona to this day, and that is the word “Cosmograph” used in lieu of “Chronograph” on the dial. Rolex registered the word Cosmograph in 1953, and it saw brief usage in the marketing of the ref 6062, a rather beautiful moonphase produced for a short period in the early ‘50s. As we (the collective “we”) entered the Space Age in 1957 with the launch of Sputnik, and the world’s fascination with putting people in space, it would seem a fitting era to put a word as cool as Cosmograph to good use. And Rolex did just that. In 1963 Rolex introduced the first reference identified as a Daytona, the 6239. The popularity of racing, along with the Daytona race track, made the distinction a natural fit given Rolex’s long relationship with the track. The first Daytona was produced in a wide range of variations through it’s 6 year production span. Cases ranged from steel, to 14 and 18k gold; dials in cream, black, and silver – and even a second dial was available, the exotic dial, which would later become known as the Paul Newman dial (more on that later). A defining feature of the 6239 when compared to earlier chronographs, was the steel bezel that housed the tachymeter, removing it from the dial all together. Just 2 years into the production of the 6239, a second Daytona reference appeared, the 6241. The 6239 and 6241 are effectively the same watch, but for the bezel, which is made of black acrylic on the 6241. Inside each of these references beats the venerable Valjoux 722, with later models getting the updated 722/1. Production of the 6239 and the 6241 references came to an end in 1969, and the Daytona again went into a brief transitional period. Alongside the production of the 6239 and 6241 we have a prototype reference, the 6240. Very few 6240 were made within the same production window as the 6241, and it was set apart from the other references by its screw down pushers, and “Oyster” designation on the dial, signifying it as waterproof. The 6240 is exceedingly rare and dial variations are the subject of many an online discussion. If you’re so inclined to go down that rabbit hole, here’s a great place to start. 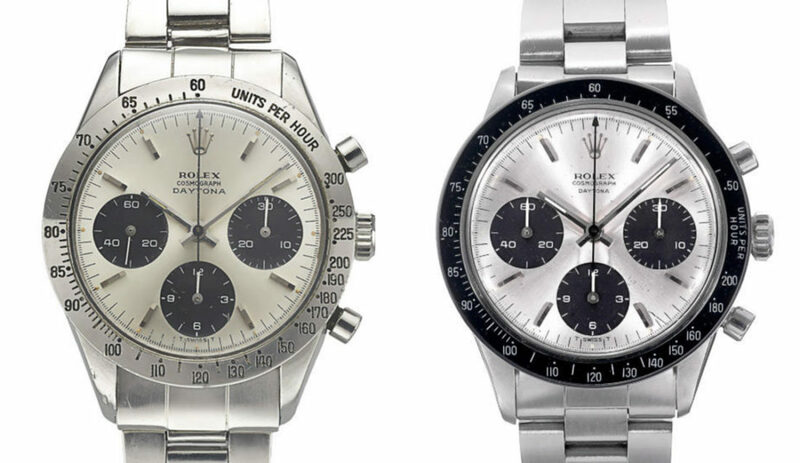 For a brief period in the early ‘70s the Daytona transitioned to the 6262 and 6264 references. These watches featured pump pushers and housed an upgraded movement: the caliber 727 which beat at a slightly higher rate than the 722-1 before it. The 6262 had the steel bezel while the 6264 used the black acrylic execution. While rare, these references aren’t as sought after as other models as they are visibly the same as their 6239 and 6241 predecessors. The exception to that is a gold 6239, which is one of the least produced Daytonas in existence. The Daytona really hit its stride with the 6263 and 6265 references, which enjoyed long production run from 1971 to 1988. Naturally, these are the most common vintage Daytonas, and come in a wide range of configurations. Rolex settled in to the screw down pushers and kept both the steel (6265) and black (6263) bezel options. Uniform and contrasted dials can be had, within cases of steel or gold. The Valjoux 727 remained in use as well. The dials were anything but consistent, but this is where we first see the word Daytona written in red above the 6 o’clock sub dial, and gold examples saw the inclusion of “superlative chronometer officially certified”. These are traits that have survived to modern references of the Daytona. The Daytona may have matured with these references, but it’s also the last place we find use of exotic dials. 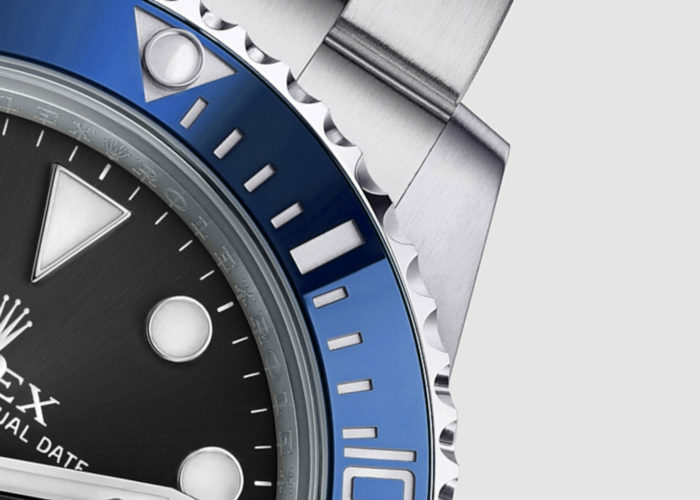 Within each of the references above there exist what Rolex called exotic dials. These dials differed from regular dials in their sub dial design, which used art deco style numerals along with blocks at the end of each demarcation within. The minute track at the dial’s outset was also contrasting, matching the sub dials. The design wasn’t particularly popular in the era, and production was limited as a result. All that changed when Paul Newman, the actor/racing driver was photographed wearing a 6239 with a white exotic dial (on a bund strap, no less). It took a while to catch on, but by the mid ‘90s, auction prices for PN Daytonas were beginning to creep up, regularly fetching north of $100k by 2015. This all culminated with the discovery, and subsequent sale of Paul Newman’s own Paul Newman Daytona. Phillips auctioned the watch in Fall of 2017, where it shattered records of all manner, selling for $17.8 million dollars, becoming the most expensive wristwatch to ever sell at auction. The sale cemented all PN Daytona’s into collector lore, along with setting an impregnable foundation for all past and present Daytona watches to enjoy. Understanding the Paul Newman Daytona is more art than science, and if you’re keen on learning more, catch this Reference Points article produced by HODINKEE. 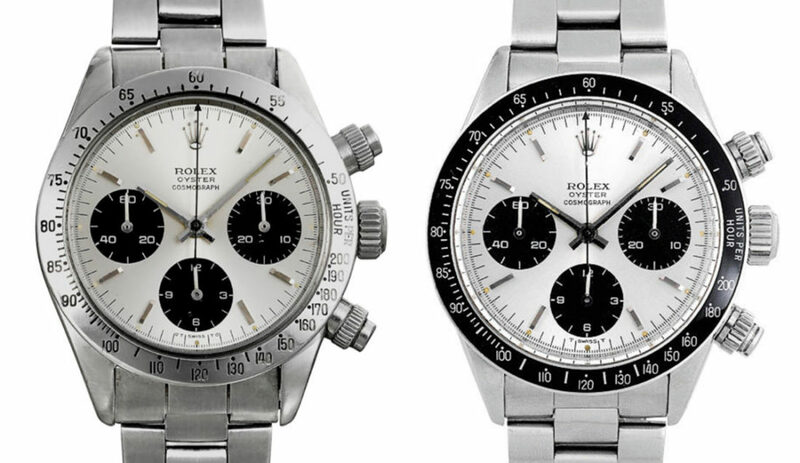 At the close of the 1980s Rolex took the Daytona in a new direction with the 5 digit reference 16520. While still recognizable as a Daytona from the outside, there was a big change on the inside, which now used an automatic chronograph movement made by Zenith: the El Primero. Gone were the dual references for steel and black inlay bezels, instead Rolex sided with the steel (or gold) bezels with engraved tachymeter. On the dial, we now find a consistent use of the full verbiage at 12 o’clock, with the branding, the superlative chronometer, and the cosmograph all stacked atop one another. The word Daytona had been permanently relocated to living above the register at 6 o’clock. Another big visual change were the sub dials themselves, which were now defined by thick rings instead of solid circles. 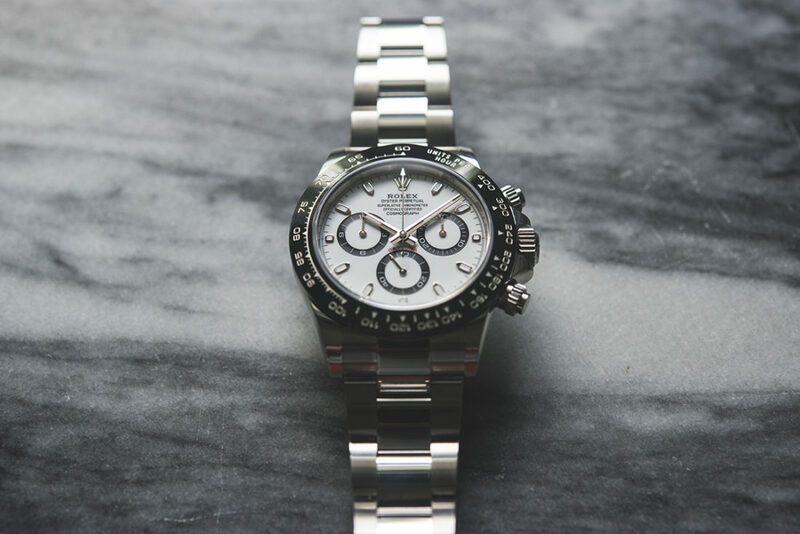 The 5 digit references saw a wealth of variety, from case materials and vastly more dial options, the Daytona of the ‘90s lost a bit of its core identity by attempting to appeal to a broader audience. A big part of this was the move to a 40mm case, compared to the 37mm of the original. The basics were still covered, however. A steel case with white dial and black accents could still be had, and today, the El Primero powered Daytona is beginning to establish its collectibility. Which variants will end up being the most collectible remains to be seen, and if there’s a Paul Newman of the bunch, it has yet to reveal itself. After 12 years, the 5 digit Daytona gave way to a new generation, one that, for the first time, would make use of a Rolex-built automatic chronograph movement, the caliber 4130. This is generation in which we currently find ourselves, meaning it’s been an 18 year run thus far for the 6-digit references. Inside you’ll still find the now battle tested 4130 (though it’s undergone updates since 2000), and Rolex has formalized the breadth of offering with its own configurator on their website. All told, the available configurations which you can get your Daytona run into the hundreds. But, there are 2 in particular that have caught the eye of many a collector, and they tie in directly with the lineage we’ve outlined above. They are the white and black dial variations of the reference 116500. These two models were released in 2016, and are still among the most “hyped” watches on the market. Rolex steel sport watches being in high demand with a premium on second-hand pricing is nothing new. 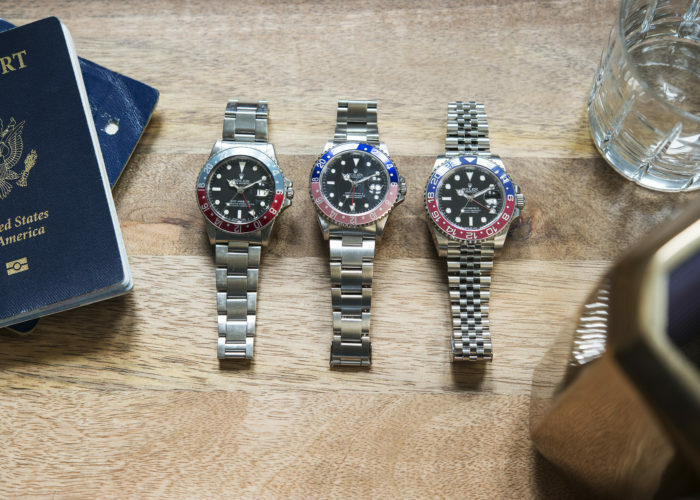 If you’ve spent any time in your local Rolex AD recently, you’ve likely noticed the lack of Submariners, Sea-Dwellers, Explorers, and Daytonas on their shelves. The Daytona commands anywhere from an 80% to over 100% premium over it’s retail price of $12,400. The history above contributes to much of that premium, but the other half comes down to the watch itself. Just how good is it? We spent some time with these sought after watches to find out. In 2013, Rolex celebrated the 50th anniversary of the Daytona by releasing the reference 116506, a platinum bodied Daytona with baby blue dial and dark brown Cerachrom bezel. To say that it was a surprise would be an understatement. 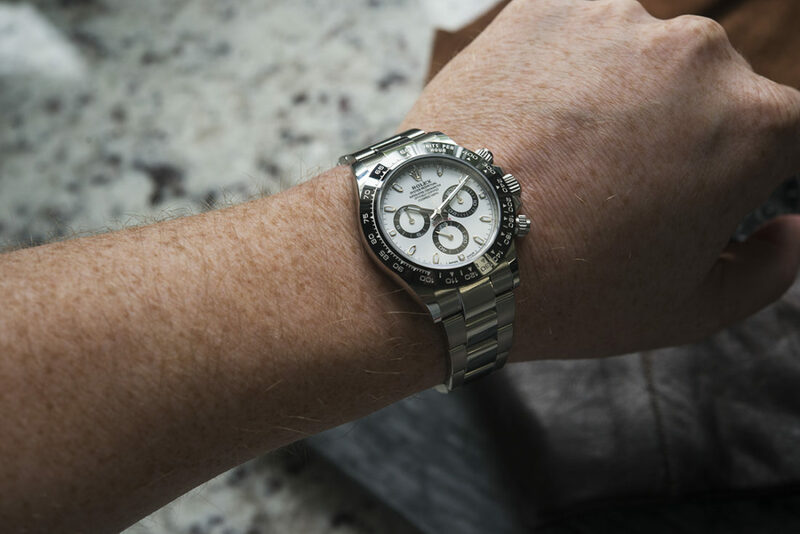 Astute observers noted the most important takeaway with the anniversary model was the inclusion of the ceramic bezel, which was now all but certain to make its way to other Daytona watches in the future. In 2016, the ceramic bezel in black did indeed make its way to the all steel, white and black Daytona references 116500. It was the modern incarnation of the 6263 we’ve been waiting for since 1988. As we’ve discussed when reviewing the latest Pepsi bezel GMT, Rolex doesn’t embrace the whole “throwback design” thing, and when they dip into their past designs to influence their new watches, they are differential to the modern language they’ve developed over the generations. That means no matte dials, no painted on hour markers, and certainly no pump pushers. It’s a more subtle nod, and if you don’t like modern Rolex, there’s likely nothing present here that will change your mind. That subtle nod is very effective though, and there’s really only a couple things likely to irk the purists. First off, the PCLs, or polished center links. 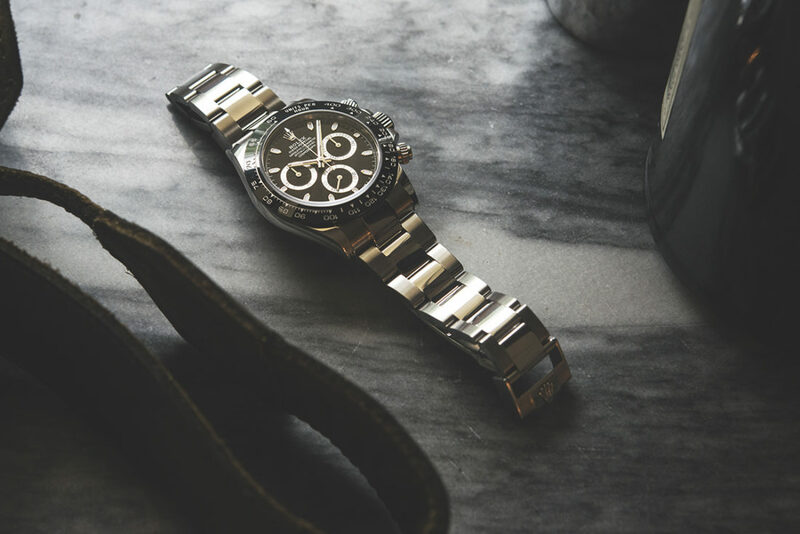 The bracelet with polished center links imbues a level of luxury that elevates the Daytona somewhere between pure sports watch and straight up luxury item (to be fair, it straight up is the latter regardless). That level of polish adds a bling factor that will make some uncomfortable, but it can be sidestepped easily enough with a change of strap or using a NATO or rubber option. That said, the bracelet is remarkably well built and if you can get over the polishing, makes for very comfortable everyday wear. The other thing is the dial which, like all other modern Rolex sport watches, has 5 lines of text at the top of the dial. It’s no shock, but the lines of text, coupled with the engraved rehaut, and the ringed sub dials rather than solid sub dials, make for a relative eye full. It’s handsome on its own merits, and comes together in a very reasonable manner, but had the “superlative chronometer officially certified” been left off the dial I don’t think anyone would be complaining. To be fair, there is very little to complain about with the 116500. Sure, solid sub dials and less text on the dial would be nice, but that already exists in the references outlined above, and the modern Daytona is forging its own identity rather than relying on its past (which would be the path of least resistance). As a matter of fact, with the 116500 the Daytona is reclaiming its identity, a portion of which had been lost in a generation of excess. The newest Daytona ref 116500 lands in the same 40mm case we’ve seen at use in all 6 digit Daytonas, with the same road tested 4130 caliber found throughout the family. This includes all the modern bells & whistles like a Paramagnetic blue Parachrom hairspring, 72 hours of power reserve, and, as stated on the dial, is a superlative chronometer (officially certified). In the examples tested, timing remained well inside of +2 seconds deviation per day. The bezel is black monobloc Cerachrom in ceramic (see pic above), and has a sheen that contrasts from black dial and black accents found on the white dial. The thickness of the bezel gives the dial a smaller amount of space to live in than you’d expect. Enough about what it is and isn’t, let’s get down to exactly what makes the Daytona a great watch. One thing all Daytona watches have had going for them is just how well they do on the wrist. The Oyster case manages to sit damn near perfectly on the wrist, while the height of the case is held in check at just over 12mm. Every other manufacturer looking to make a chronograph should study the dimensions of the Daytona good and hard, because it wears better than most time-only watches on the market today. Legibility differs depending on which dial option you opt for. The black dial is less consistent depending on the lighting conditions, while the white dial enjays far more contrast between the dial, hands, and sub dials. Neither is as quick a read as something like an Explorer or Submariner, but there are no major issues present here in daily use. The black dial features silver rings around the sub dials, and their grooves catch a lot of light, adding to the overall bling factor of the watch. Conversely, the white dial uses black rings around the sub dials at 3, 6, and 9 o’clock, as well as the hour markers. The white may draw more attention from a distance, but there’s less flash involved overall. The steel Daytona has a very appropriate amount of heft, so as not to go unnoticed while not ever feeling like a burden. Weight is distributed across the oyster case, which gently bows at the case walls. The crown and screw down pushers are simple to manipulate, and with no date complications winding and setting are straight forward. The screw down pushers are unscrewed with a half turn, allowing use of the chronograph functionality. The running seconds dial at 6 o’clock is flanked by the minute (at 3 o’clock) and hour (at 9 o’clock) totalizers, keeping symmetry in check. All in all, the Daytona is the standard bearer when it comes to chronographs in terms of wrist feel and, if we’re being honest, in terms of heritage as well. The sale of Paul Newman’s Paul Newman certainly established the watch’s place in history. That makes the Daytona a difficult watch to judge relative to its competition. There are 2 ways to judge the Daytona. First, as a $12,400 watch and second, as an $18,000 – $24,000 watch. The former is the Daytona’s retail price, the latter is the range in which they trade in the resale market. 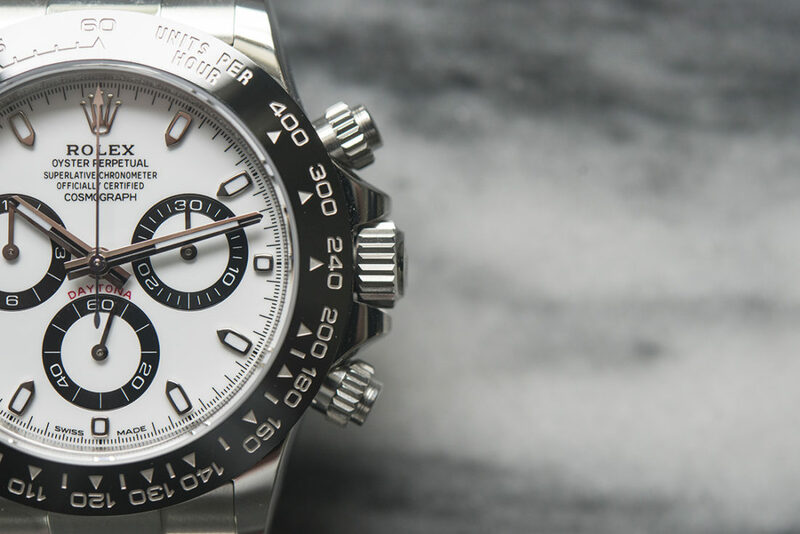 At retail, the Daytona in unquestionably the best chronograph in the marketplace. 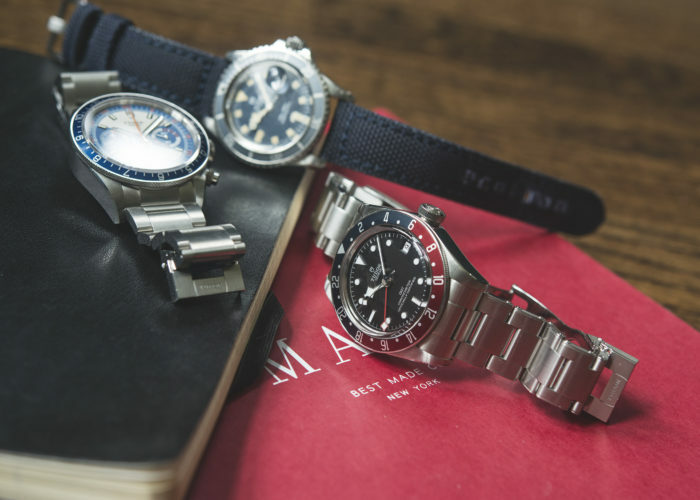 At resale prices, the choice is a bit trickier, as the high end puts you in the same territory with some very fine watches from the likes of Audemars Piguet or Vacheron Constantin. It speaks volumes about the Daytona that it can still fetch those prices with little fanfare in the marketplace. 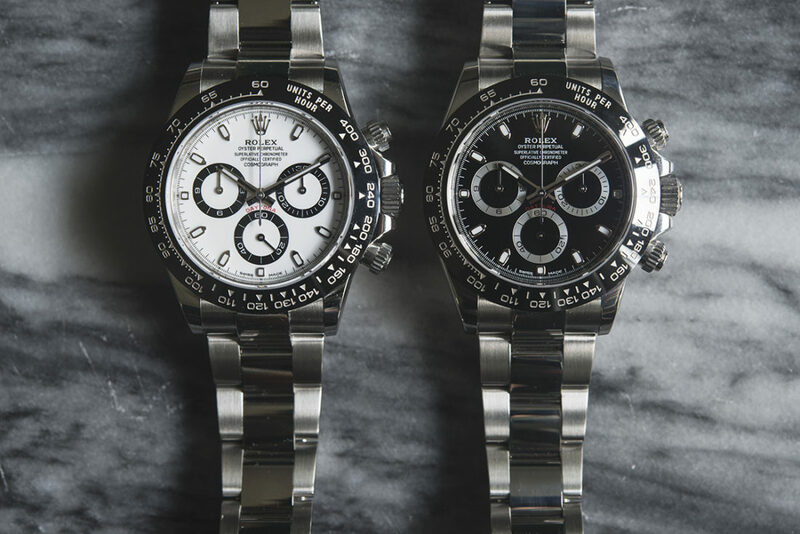 Given the full picture of the Daytona, and its strong track record in the pre-owned marketplace, it’s no surprise that the newest references are experiencing far more demand than Rolex is willing to supply. The volatility of those prices depends on Rolex’s willingness to bring more to the market, something they’ve thus far been unwilling to do. 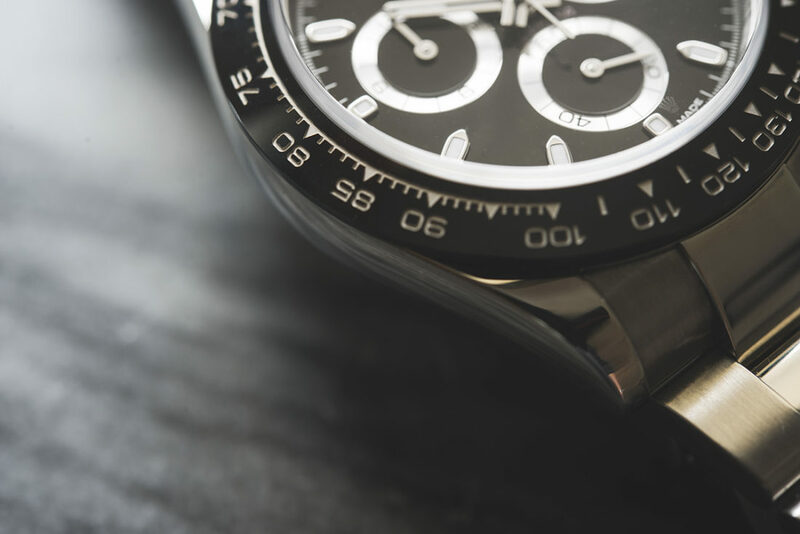 Unfortunately, the fact that these watches are getting bought by speculators to turn for a profit means actual enthusiasts are left to wait years for the watch they want, or pay the premium in the pre-owned marketplace.